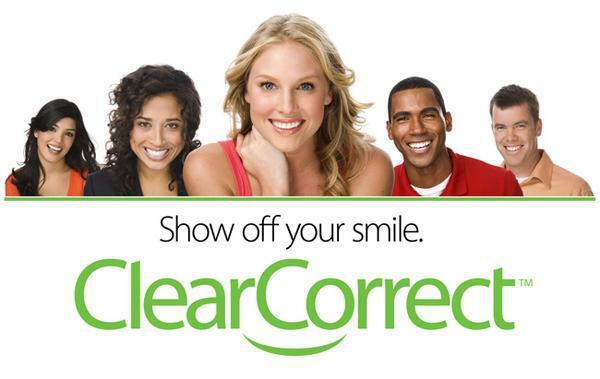 ClearCorrect® invisible braces are the clear & simple way to straighten your teeth, so you can show off your smile! For patients seeking discreet orthodontics in Victoria, TX, the team at Lisa Heinrich-Null, DDS offers an alternative to metal braces– ClearCorrect. One of the latest developments in clear aligner therapy, ClearCorrect enables patients to subtly obtain a healthy, straight smile without traditional metal braces. ClearCorrect is an orthodontic alternative to traditional teeth straightening methods. The system uses a series of clear aligning trays that gradually shift teeth into straighter positioning. Unlike traditional orthodontia where devices are bonded to teeth, ClearCorrect aligners can be removed by the patient throughout treatment. The treatment was designed with aesthetics at the forefront, providing an orthodontic treatment option for patients who wanted a less obvious and intrusive therapy. ClearCorrect aligner therapy involves multiple phases of treatment, whereby new aligners are delivered to the patient to move their treatment along. Each patient’s length of treatment varies, depending on the complexity of their unique case. Improved Oral Health – Because ClearCorrect is removed when eating, brushing, and flossing, patients can easily clean their teeth without any obstruction. Flexibility – In addition to improving oral health, patient enjoys the ability to remove ClearCorrect during pivotal moments, like important photo ops or during important events. No Dietary Restrictions – Unlike traditional braces, ClearCorrect isn’t negatively impacted by the foods you eat, nor the drinks you enjoy. With ClearCorrect, you don’t have to worry about avoiding certain foods and beverages. What Does Getting Clear Correct Entail? Once you express interest in obtaining ClearCorrect, our team will assess your current oral health to determine whether you’re a suitable candidate. This initial consultation will include questions such as your goals for obtaining orthodontic treatment and your desired outcomes. After determining candidacy, images, X-Rays, and impressions will be taken. These will guide the creation of your aligner trays and will be sent off to the lab where your ClearCorrect treatment will be made. Once your aligner trays are returned to our practice, we’ll schedule your fitting and review the process with you. We typically like to see patients at set intervals, to check-in on the progress of treatment. You can expect to visit the office once every few weeks. In the interim, you will wear the aligner Dr. Heinrich-Null designates until instructed otherwise. Upon conclusion of treatment, the final aligner will continue to be worn for retention. Are you ready to obtain a straight, beautiful smile? Contact our team today to schedule an initial consultation for ClearCorrect clear braces in Victoria, TX. We look forward to making you smile!